We have working drawings and it's time to go shopping! 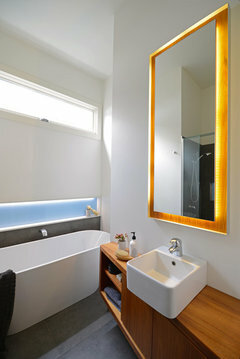 Our ensuite will include a bath- yay, have been bath less for a few years now so looking forward to long soaks. I have narrowed down to two 1700mm freestandings. One is 'back to wall' which I'm not sure about aesthetically but someone suggested it would be easier for cleaning and keeping splashed water from lying on the floor (where bath meets wall). There will be a small gap if freestanding. 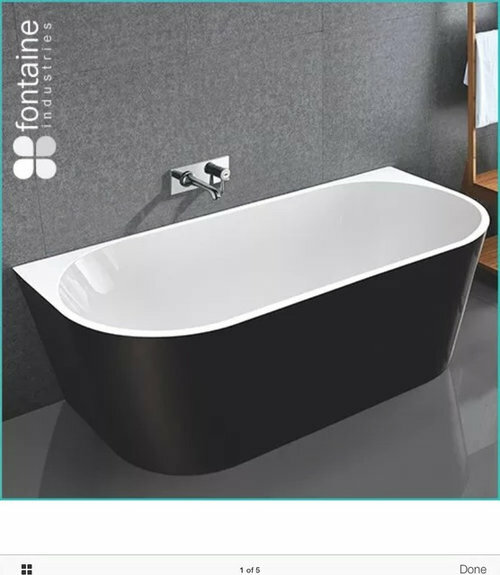 Has anyone got a back to wall freestanding bath or a freestanding that's close to the wall? I'd love to hear your thoughts (and/or pics) about having either (especially about cleaning behind the small space if freestanding). I have visited someone who has a back to wall. It looks really nice, and I'm sure it will be easier to clean. Foer me personally, if I have achoicebetwwen looks and ease of cleaning, I would choose ease of cleaning. Even in my enclosed shower I sometimes wonder how did I splash over there or get a glob of shampoo over there. For me ease of cleaning would be a priority so awkward to reach spaces that can get splashed are a no. Back to wall, we have that type of layout and even with a 10cm+ gap behind our freestanding it is challenging to keep the area clean and dry. When I design a space there are many factors I take into account for each decision - A free standing bath looks luxurious and I have designed bathrooms including them, which takes practicality (incl cleaning) strongly into consideration. However, with the limited information, I would advice a back to the wall given the layout and placement of the shower (given there appears to be no screen between shower and bath). All the best with you new build/ensuite. We’ve got a freestanding and it does look great. It’s got a space about a hand span between it and the wall. I confess that I don’t clean down there as often as I should but not because it’s too hard. If you go for back to wall (which we have in our main bathroom) go for large tiles or be prepared to scrub grout. We have tiny tiles on the horizontal around the bath (if that makes sense) and down the vertical side of the bath and I curse them every time I see them. 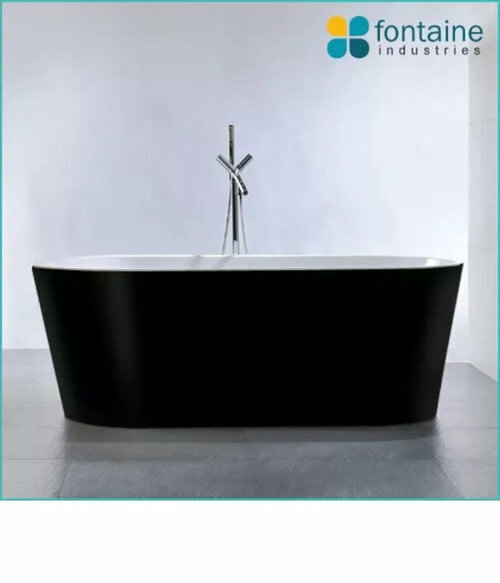 built in bath or freestanding? What are your thoughts on our house plans? 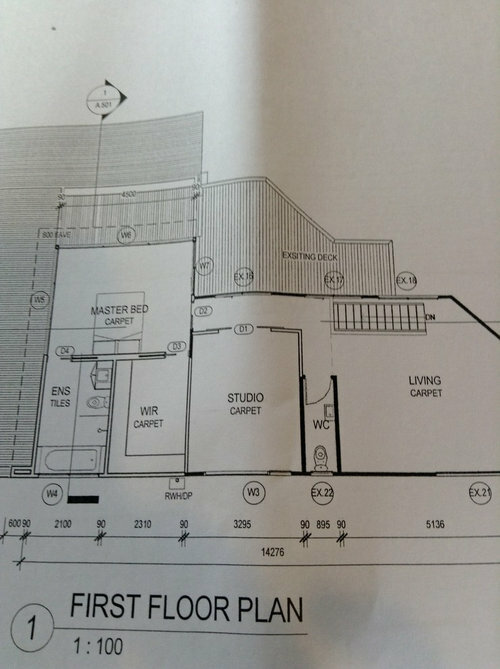 Plan for first house build - your thoughts or suggestions?